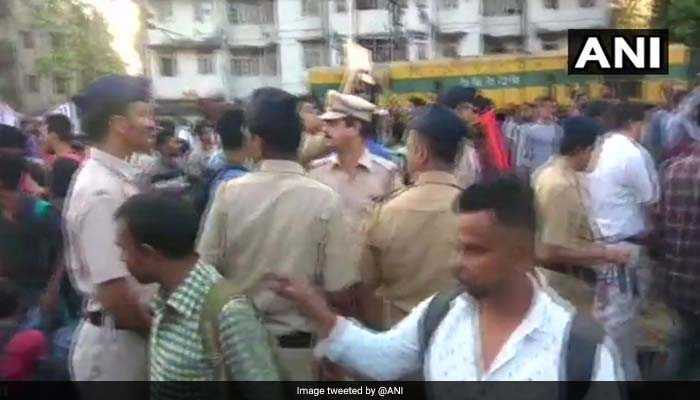 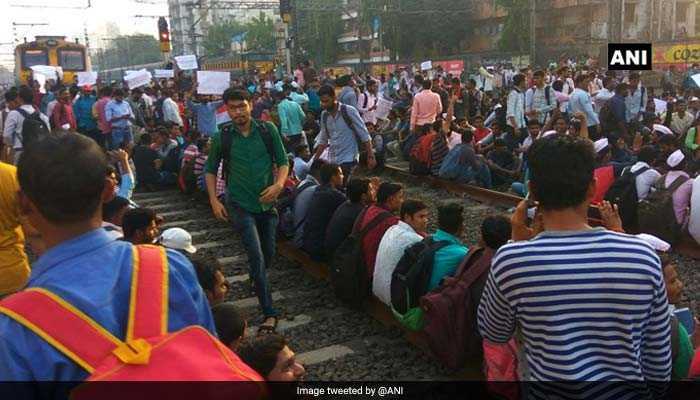 Train services was badly affected in Mumbai during rush hour on Tuesday as hundreds of students demanding railway jobs sat on the rail tracks in the centre of the city. 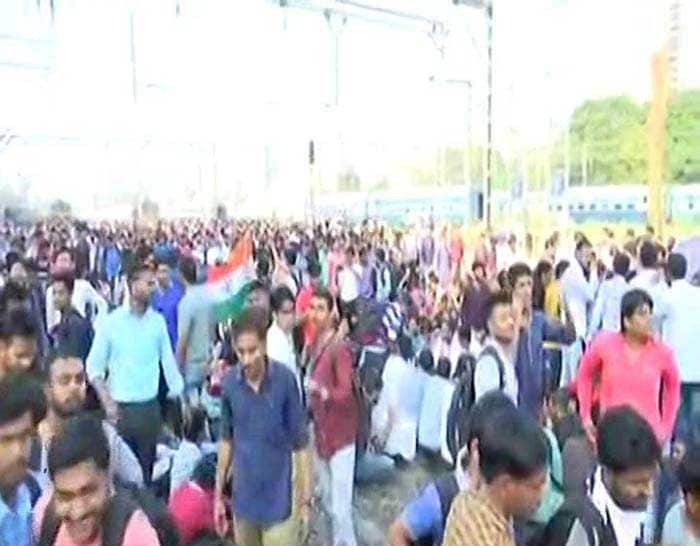 The students, mainly those who have cleared the railway apprentice exams, have been protesting since 7 am between the Matunga and the Chhatrapati Shivaji Terminus (CSMT) stations. 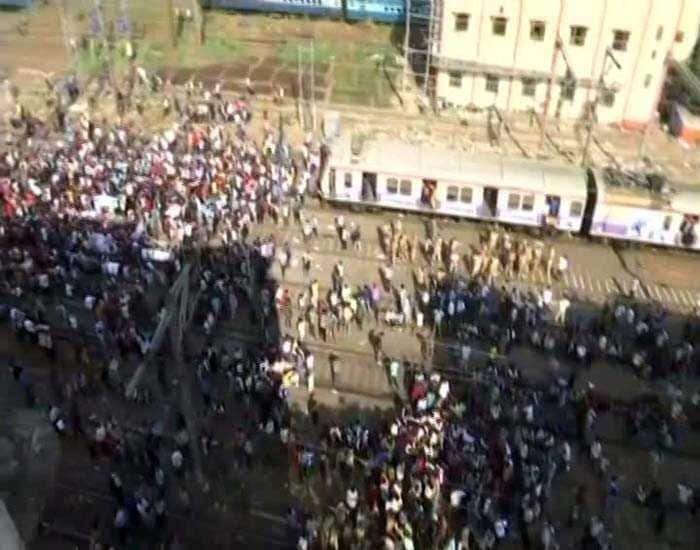 Besides the local train traffic, long-distance trains have also been impacted. 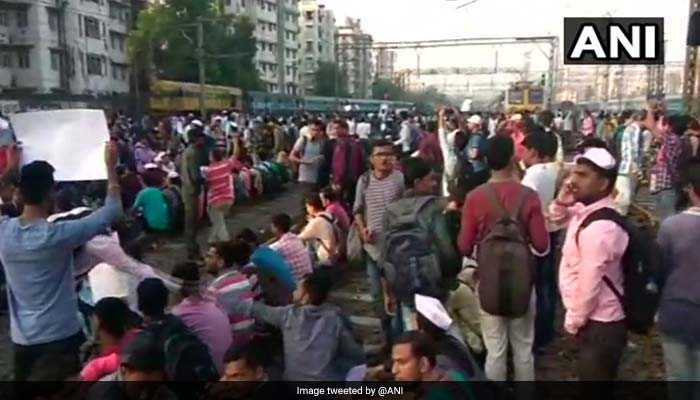 The railways have been forced to stop running suburban and express trains.